This name uses Spanish naming customs: the first or paternal family name is Almunia and the second or maternal family name is Amann. Joaquín Almunia Amann (born 17 June 1948) is a Spanish politician and formerly, prominent member of the European Commission. 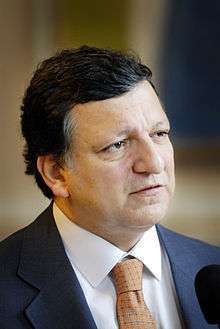 During his tenure in the two Barroso Commissions, he was European commissioner responsible for economic and monetary affairs (2004-2009) and, subsequently, vice-president and the European Commissioner for Competition (2009-2014). 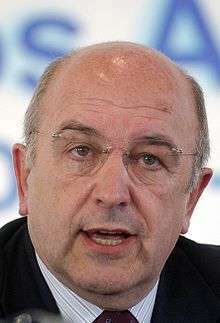 Previously, he had been Spanish Minister for Employment (1982-1986) and Public Administrations (1986-1991). From 1997 to 2000, he was the leader of the opposition as secretary general of the Spanish Socialist Workers' Party, standing in and losing the 2000 Spanish general election against the then incumbent Spanish prime minister, the conservative José María Aznar. Born in Bilbao on 17 June 1948, Almunia graduated with degrees in economics and law in 1971 and 1972, respectively, from the University of Deusto in Bilbao, and completed follow-up studies at the École Pratique des Hautes Études in Paris, France, from 1970 to 1971. He also completed a program at the Kennedy School of Government at Harvard University for senior managers in government in 1991. He was an associate lecturer on employment and social security law at the University of Alcalá de Henares in Madrid, Spain, from 1991 to 1994. Almunia was chief economist of the Unión General de Trabajadores, a Spanish trade union affiliated to the Socialist Workers' Party (PSOE), from 1976 to 1979. He was economist at the Council Bureau of the Spanish Chambers of Commerce in Brussels from 1972 to 1975. Almunia was a PSOE Member of the Cortes Generales from 1979 to 2004, representing Madrid. He was the minister of employment and social security from 1982 to 1986. He served as the minister of public administration from 1986 to 1991. He was replaced by Juan Manuel Eguiagaray as minister of public administration. He was also the PSOE spokesperson from 1994 to 1997. Upon the resignation of Felipe González after being defeated in the 1996 elections, Almunia became the party leader from 1997 to 2000. In 2000, he was the PSOE candidate for prime minister, and the party was again defeated by incumbent Prime Minister José María Aznar. The PSOE suffered its worst result in a general election since the Spanish transition to democracy and therefore, Almunia resigned as party leader. Almunia was the director of the research program on "equality and redistribution of income" at the Fundación Argentaria from 1991 to 1994. In 2002 he founded and served as director of a progressive think tank called Laboratorio de Alternativas (Fundación Alternativas). He first joined the Prodi Commission on 26 April 2004 as a successor to Pedro Solbes (who had resigned to join the new Zapatero government) and was reappointed by Barroso in November 2004. 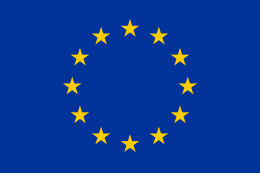 ↑ Barroso names new EU commission team Euronews Retrieved 27 November 2009. ↑ "CV Joaquín Almunia". European Commission. Retrieved 12 February 2013. ↑ Guillermo M. Cejudo (March 2007). "New wine in old bottles" (PDF). CIDE. Retrieved 4 September 2013. 1 = President. 2 = Vice President. 3 = Served from 1 January 2007. 4 = Vassiliou replaced Kyprianou on 3 March 2008. 5 = Tajani replaced Frattini on 18 June 2008. 6 = Ashton replaced Mandelson on 3 October 2008. 7 = Šemeta replaced Grybauskaitė on 1 July 2009. 8 = Samecki replaced Hübner on 4 July 2009. 9 = De Gucht replaced Michel on 17 July 2009. 10 = Šefčovič replaced Figeľ on 1 October 2009. 1 = First Vice President. 2 = Vice President.